Forget Casablanca! 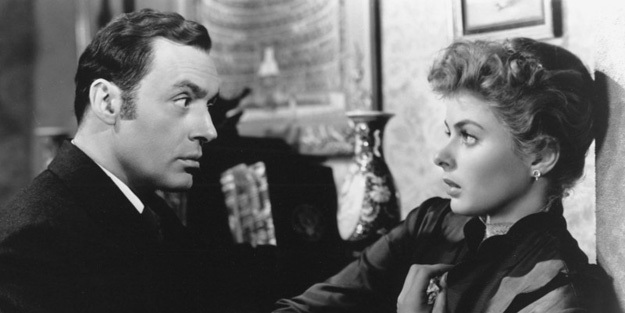 Ingrid Bergman gives what might be the finest performance of her career in George Cukor’s Gaslight. Now, that’s not to say that I don’t think that Gaslight is anywhere near the quality of Casablanca. I do think, however, that Cukor’s film provides greater opportunity for her acting talents. It’s a treasure for sure. As the title suggests, “gas lighting” is involved. The film takes place mostly in late nineteenth century England where wealthy houses and the streets were lit by gas lamps. Because the flow of gas to each house was somewhat limited, turning on one gas lamp would cause any other lamps in the house to become noticeably dimmer and you immediately knew another lamp had been turned on in the house. What does this have to do with Ingrid Bergman? Everything! Bergman plays Paula, the niece of a great opera singer whom is murdered when Paula is a child. She is then sent to Italy to live with and learn from a great singing instructor. Unbeknownst to her, she has fallen in love with her aunt’s very murderer who is posing as a pianist to get close to her. Gregory Anton (played by a very charming Charles Boyer) marries Paula, using her to get back to the London house where he can finish what he started—stealing priceless jewels that a czar had given the opera singer. The only way Anton can easily search, without Bergman’s interference, is to have her sent away. Taking advantage of the trauma of finding her aunt’s body, Anton slowly convinces his wife that she’s going insane. Luckily, Inspector Brian Cameron (Joseph Cotton), an admirer of Paula, is on the case in hopes of protecting Paula. Cukor isn’t given the credit he often deserves. There are some great moments within Gaslight. Incredible ones. In discussions of auteurs, Cukor is usually overlooked because his films lack a signature that marks them as his own. Yet, this disparity only speaks of his versatility and the fact that he worked so closely with whichever cinematographer was involved in the making of his films. Both Cukor and cinematographer Joseph Ruttenberg deserve praise for the great shots captured. 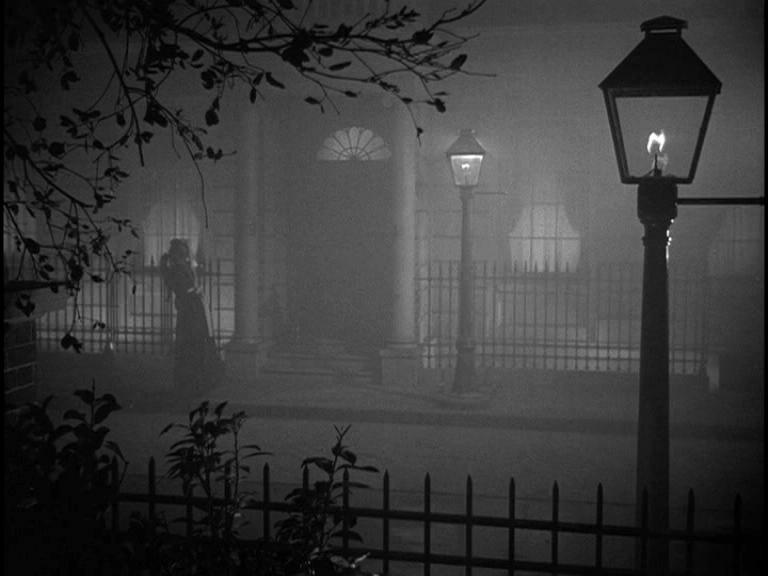 The London fog and the gaslights provide the atmosphere for Paula’s slow descent into what many might call hysteria. When Boyer searches for the jewels in a boarded up room (via the roof), he has to turn on the gas. Paula notices and, what’s more, she hears noises and him talking, but she’s convinced that he has gone out. This is enough to drive a person mad! She then begins to question her own sanity, as any of us might in her situation. In a powerful moment of spousal abuse, where we think there might be something sketchy going on but don’t yet know, the camera focuses on the lights dimming and a stream of flame growing smaller. Bergman, in one of the best depictions of terror I’ve ever seen, flings herself on her bed distraught. 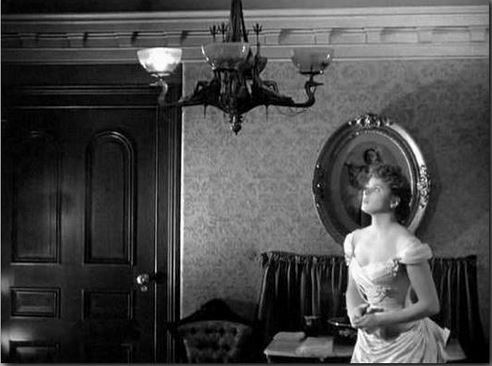 The film cuts above the gaslight chandelier and moves in between the flames, flickering and casting their cruel shadows, and onto Bergman who stares at the dimming flames (and the approaching camera) as if they are going to be her murderer. 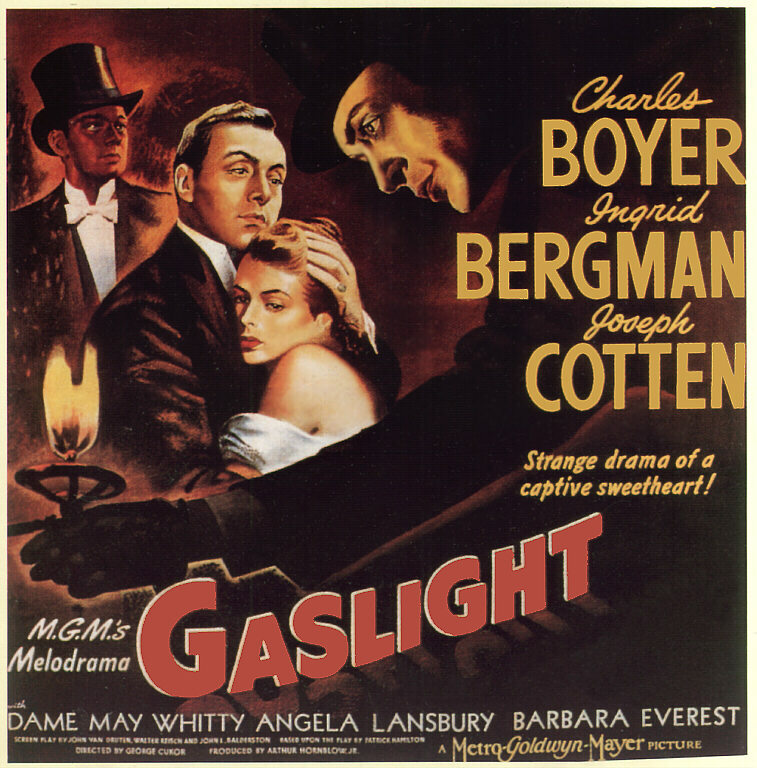 Gaslight has confirmed a long-standing theory of mine about Bergman. She is most beautiful when the camera captures her stepping out of the shadows. Sorry, big film crush! SEE IT. Especially if you are a fan of either Ingrid Bergman or psychological thrillers.